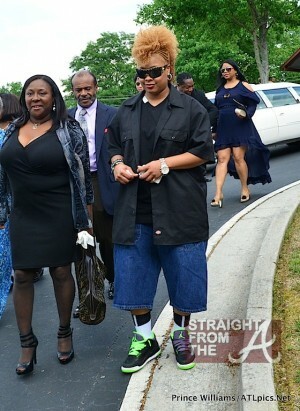 The funeral was held for Chris ‘Mac Daddy’ Kelly of Kris Kross fame in Atlanta, Georgia yesterday (May 9, 2013). Kelly’s family, friends and fans all payed their respects to the fallen hip-hop legend and many of Atlanta’s music industry insiders attended the funeral services, which was held at Jackson Memorial Baptist Church. Jermaine Dupri, Chris “Daddy Mac” Smith, Michael Mauldin, Da Brat and more all paid homage to their friend and several wore their pants backwards in recognition of the trend Kris Kross made famous. As reported earlier, Kelly died on May 1 at the age of 34 after being found unresponsive by his mother in his Southwest Atlanta home.